I was diagnosed with asthma as a child, and was in and out of the emergency room many times as an infant. When I was young, my puffer was always in my baseball bag, and it was normal to use a few puffs every game or practice. I tried my hand at a few other sports including cross-country, but was unable to control my asthma enough to complete races without walking. As I grew older, I gradually left sports to focus on school and part-time jobs. I gained my “freshman 15” and more, until my weight was another factor harming my asthma. But I was someone who didn’t know what asthma control was. In my University years, If you asked me if I thought I was ‘in control’, I would have said yes – because I hadn’t been in the urgent care clinic or emergency room for years. But I also needed 2 blasts of my blue puffer in order to go to sleep every night, and sometimes a few more when I woke up in the middle of the night. I couldn’t mow the lawn, visit my friends with pets, or fall asleep in unfamiliar places like hotel rooms. I wasn’t taking my prescribed controller medication because I didn’t feel the effects immediately and didn’t understand what it was supposed to do. I found the Asthma Society in 2010, and learned why my controller medication was important. Within weeks of taking my controller twice a day as prescribed, I was falling asleep without my puffer and using it far less during the daytime. 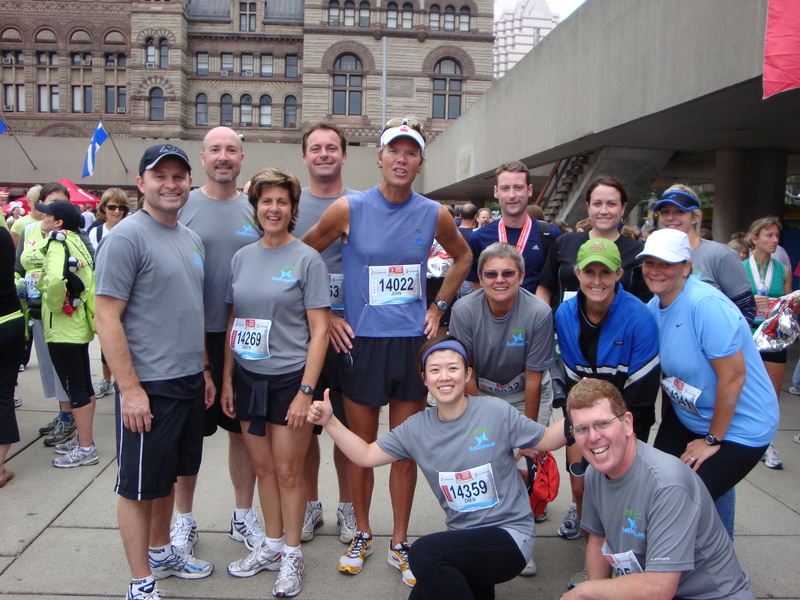 When I was convinced to run with Team Asthma in 5km division of the 2010 Toronto Waterfront Marathon, I began to exercise and lose weight. I convinced myself I could cross the finish line without walking, and I did! Nearly a year later, I’ve now lost over 60 pounds through running! I feel a huge strength difference when curling in the wintertime and can “lean into the broom” to sweep harder. I’ve also recently completed my first try-a-triathlon, and look forward to racing with some friends I’ve converted into Team Asthma members with the Education Kits I received. I was born with asthma, although the doctors originally thought I had pneumonia as a baby. As I got older, my asthma did not get better, as some had hoped. In fact, it became almost impossible to treat. I was never active, never ran or carried on like most kids do. My asthma was always acting up, and even when it wasn’t, I didn’t feel like doing anything. I now recognize I was using my asthma as an excuse not to participate in life. When I turned 30, I started to go through what I consider to be a mid-life crisis. I weighed nearly 300 pounds, smoked (even with uncontrolled, severe asthma) and couldn’t breathe well enough to walk from the car to the door without thinking I was going to die. I knew I had to do something to change my life – and soon! I decided to take charge of my life. I went to my doctor and asked for a better treatment plan for my asthma. She started me on different inhalers and within a few weeks, I could breathe so much better. I decided to join a local YMCA. Within the first few months, the weight was dropping off me and I decided to up the ante by quitting smoking. It wasn’t easy, but I knew that’s what my lungs needed. Four years later, I’ve lost 125 pounds, run countless of miles and have not smoked a cigarette since. I feel invincible! Over the years my wife and I had been typical couch potatoes, go to work, eat dinner, watch TV, and go to bed. My wife joined a local Bootcamp program in 2009, and twisted my arm to join. I was getting in the best shape I have ever been in, but during and after my Bootcamp program I sometimes felt soreness in my chest while breathing. I thought maybe I was pushing myself too hard, so didn’t think too much more about it. In early 2011, we were training to run a half-marathon, and it seemed every training run we did, whether 2km's or 20km's seemed to be a struggle. In April, I woke up one day and could barely breathe. Tight chest, feeling light headed and gasping for breath. I forced myself to see my doctor and was diagnosed with Asthma 3 days before my half-marathon. That news was a bit of a surprise, but it made complete sense. The puffer worked very quickly, and I started on controller medication as well. On race day my chest was a little tight, so I took my shot from the puffer before the race and my wife and I headed for the start line. We had a beautiful sunny day as we ran through Vancouver and Stanley Park with the other 10,000 plus runners. I felt like a million bucks. Just as we hit the 18km marker I felt like I ran into a concrete wall. Chest tightened, body just started to shut down. At that point I was not going to stop and let my long fought goal end. As I pushed on for the last 3.1km's I had never pushed my body to that level before. I was getting closer, step by step. 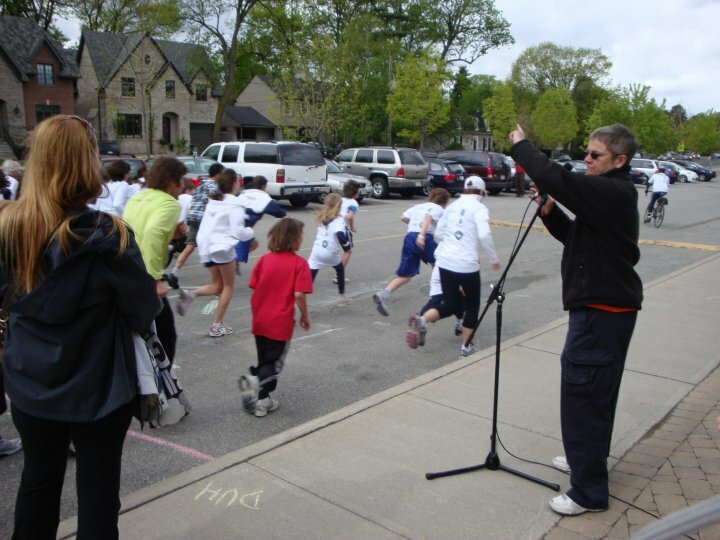 As I was cheered on by the large crowd, I could see the finish line. It was only then that I remembered I was carrying my puffer as I crossed the finish line with a time of 2hrs 25 mins. With great pride I put my medal around my neck and stuck the puffer in my mouth. After this race I vowed I would never forget to carry and REMEMBER I have my puffer with me. My so called VICTORY could have ended up being a medical emergency. My wife and I are planning more races, and next time I will be a lot wiser. I was an active runner and cross country skier in my youth, but into my 20’s realized that hot, humid days were not good for my breathing. In 2000, I did my first ski marathon and joined a bicycle club. In the fall of that year, I developed a cough and could not do a brisk walk without coughing. I was diagnosed in 2001 with severe asthma. I was able to keep cycling and skiing, but during my second ski marathon, suffered an asthma attack (I did not know what it was at the time). Now, I manage asthma with proper medications, and continue to ski about 6000km per year, and bike about 8000km more. I rarely have problems with my asthma anymore, and I know I can train harder. Still, I hope that someday, a cure for asthma can be found.